As convenient as it may be to buy a readymade computer, one of the most gratifying things you can do is to build a custom computer. Doing so will dramatically improve the way you use and understand computers. The next time there’s a technological hiccup, you won’t feel as frustrated or confused. Beyond saving in costs, there’ s a bundle of benefits in building your own computer. You can build your computer around its needs. Computers used for data processing can be focused on their RAM and processor. Gaming setups can be focused around their video cards and cooling systems. Over time, you can upgrade your computer yourself. You won’t need to invest in an entirely new PC. Also, when you know your computer, you can quickly make fixes and upgrades. This saves in cost, as you can shop for the pieces yourself, find the best prices, and upgrade one part at a time. Aside from niche brands that are marketed towards very specific types of computer users, such as gamers, most basic computer models are designed for the average consumer. Because of this, the hardware itself is fairly average. If you want a robust machine with the highest quality parts, you’ll want to go custom built. High-end machines come prebuilt, but with a huge markup. Pre-installed software that you never use takes up precious storage space and uses up memory. If you take matters into your own hands, you won’t have to worry about this level of waste. Your custom computer will run much more smoothly and efficiently. Although custom computers merit major bragging rights, this benefit is all about temperature. Not only will you be able to install more fans, but you can also include a liquid cooling system and change the layout of the hardware to maximize the airflow. For anyone in the Kalispell, MT area who’s interested in building a custom computer, head to RadioActive. 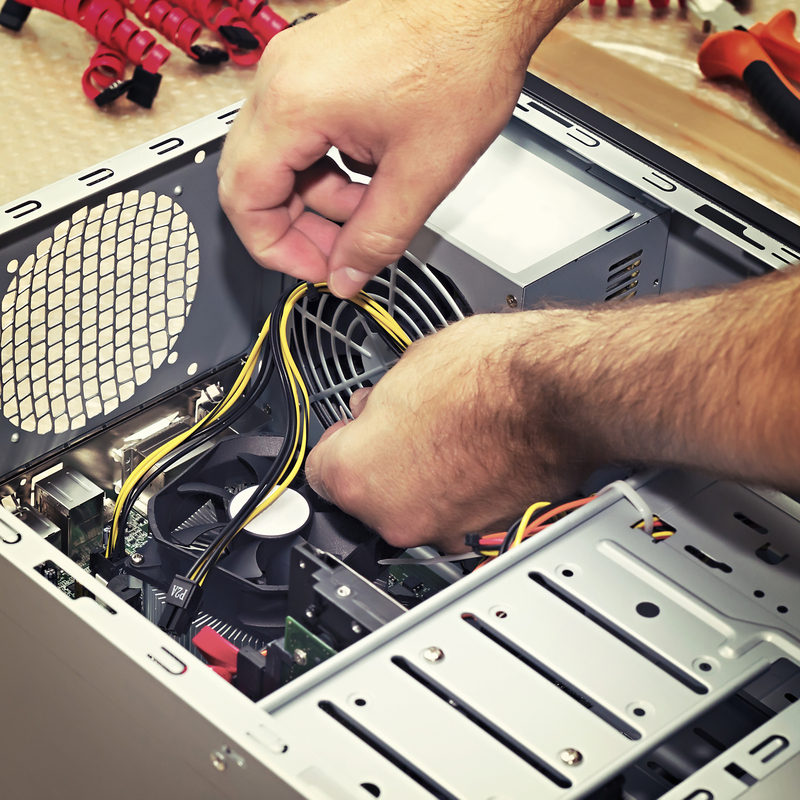 If you’re more of a DIY-type, they have a broad selection of computer parts for sale and if you need more guidance, their knowledgeable team has over 60 years of combined experience regarding computer repairs, builds, and IT support. To learn more, visit their website or Facebook. If you have any questions, call them at (406) 257-5999.